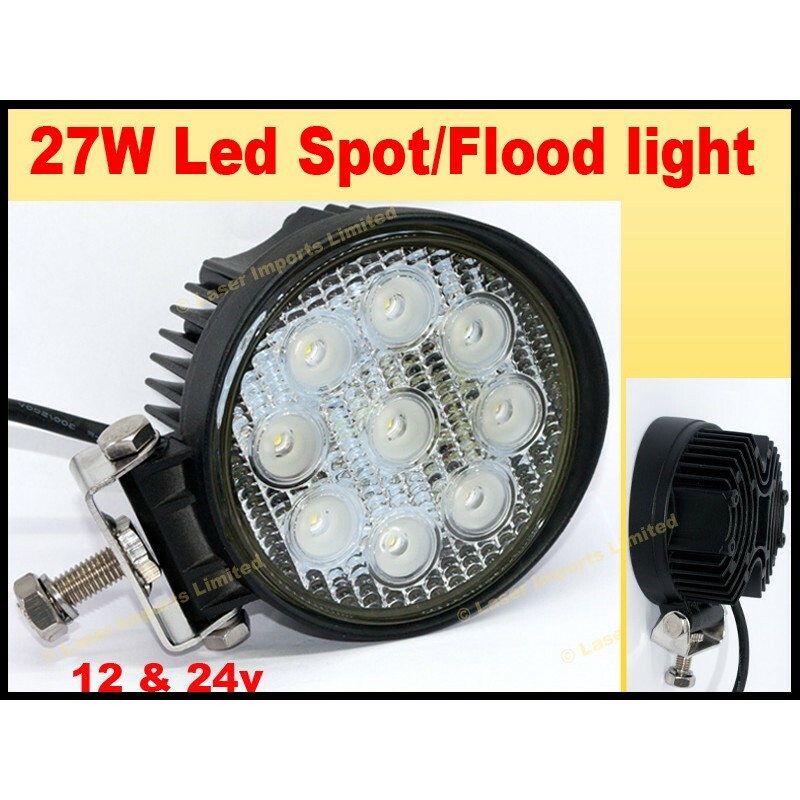 You are buying 1x 27W led deck/spot light. It can operate on both 12 and 24v and makes a great work light. Can be used for a deck light, Flood light, Garden light, security light or camping light, digger light. Great for Fishing boats, sail boats and caravans and campers, trucks and van work lights. This puts out twice the light of a 100W halogen flood light and you will never have to replace the bulb. Voltage: Works with 12 and 24v. Swivel and tilt base with the included bracket. This also has screw holes on the back for direct mounting.